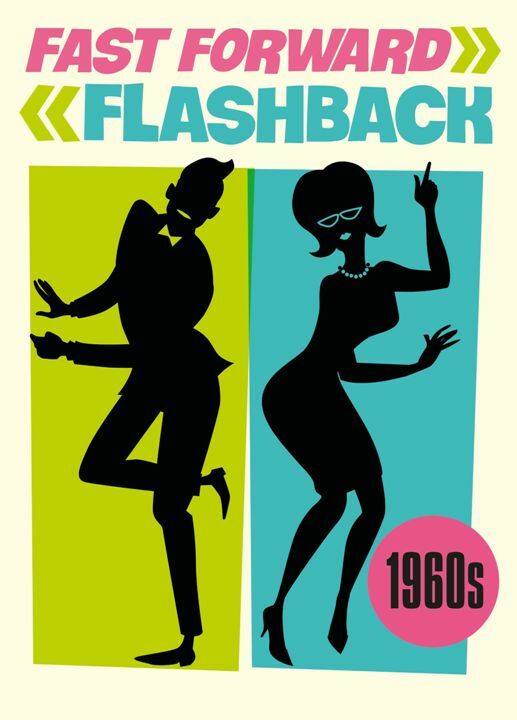 Fast Forward Flashback returns and this year, as part of the Brighton Fringe Festival be prepared to be swept off your feet and whirled into the swinging 60’s! Get interactive with our deluxe photo-booth and walkabout performers; style up at our retro beauty salon or shimmy through a dance lesson before strutting your stuff to rock, soul & motown with live band Compulsive Behaviour and DJ Steffee. There'll be the chance to win a 7-day beach getaway in France and other exciting prizes at our live auction, and all this is included in your ticket, with a 60s vintage clothes shop and themed bar to boot! 60’s garb heavily encouraged. Haven’t found your perfect outfit? Why not hire from the Gladrags store, just off the Lewes Road. Be it Mod or Hippie, we've got it covered, and offer a 40% discount to all ticket holders. You could even buy the outfit of your dreams at our Retro Sale, same venue, 1pm tp 3pm, and pick up some other bargains along the way! 100% of the funds raised from our Fast Forward Flashback event will go to Gladrags, and help us to deliver more of our much-needed projects, and reach more people locally. More info HERE.